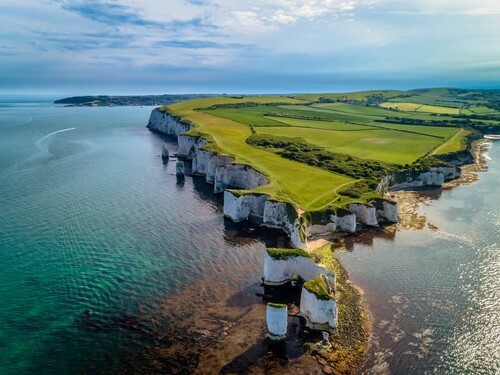 Walk almost 30 miles in the beautiful Dorset countryside and Jurassic coastline. A TEAM effort to raise funds for vulnerable children/young adults in our programmes in Zambia. Choose between being a hare (average 2.7 mph) or a tortoise (a relaxed 2.2 mph). This might sound slow but it’s a long way and hilly at times. It’s definitely not a race! 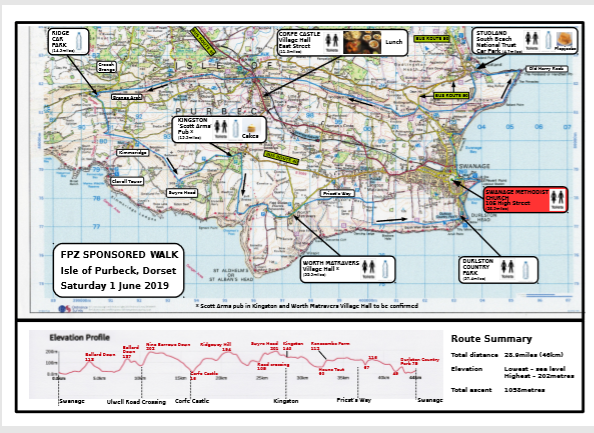 Conquer all or part of the walk – the full walk is 29 miles starting and finishing at Swanage Methodist Church, but shorter options from 4 miles upwards are available. Food: Oh yes! 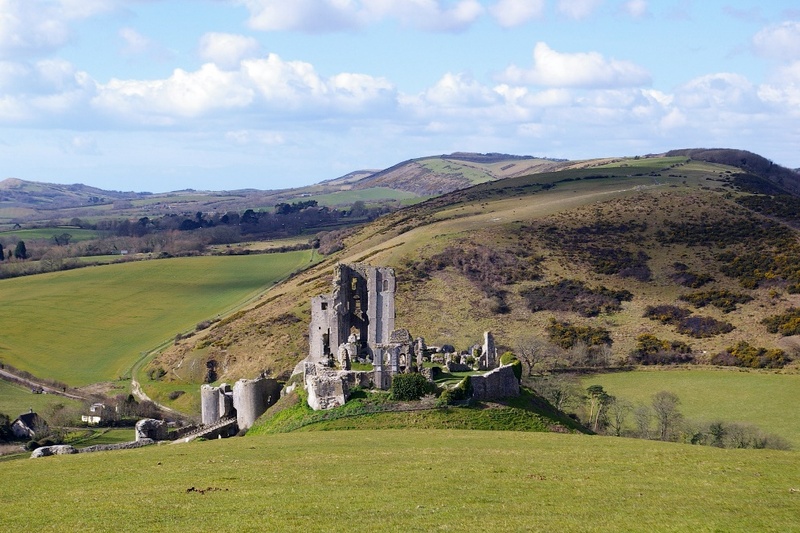 Including afternoon tea/cake in Kingston and lunch at Corfe Castle. A map has been lovingly prepared. Click on the image to view. Download, complete and return the booking form! £22,000 raised from the First Future Pillars Walk! In January we announced that we would be holding the first Future Pillars Walk on 7 July 2018. Our treasurer Peter had already checked out the route and hoped that we would find 70 walkers, who might riase £100 each, giving us a target of £7000 . Peter could not have foreseen quite how much he had taken on, or what the event would achieve! Between January and July he and a small group of friends practised the route, planned the stops and recruited volunteers to provide and serve water and refreshments along the way. 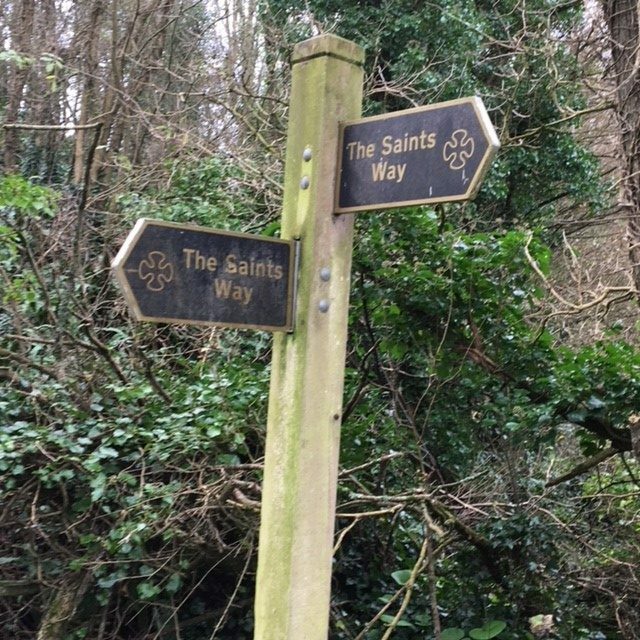 By the time the day came we had 79 walkers, aged 5 – 74, signed up to walk all or part of the 30 mile Saints’ Way, from Padstow to Fowey in Cornwall – and a new target of £10,000. We gathered at 7am in Padstow, where FPZ Chair Rosemary thanked us all for coming, spoke a little about FPZ, and handed out messages and photos from the children in Kabwe. Lunch was after 15 miles, at Lanivet Methodist church. Some stopped at this point, while others joined us for the second half of the walk. Afternoon tea was at Luxulyan, where we were glad of the cool of the parish church to sit and rest – and delicious cakes baked by some of the walkers. 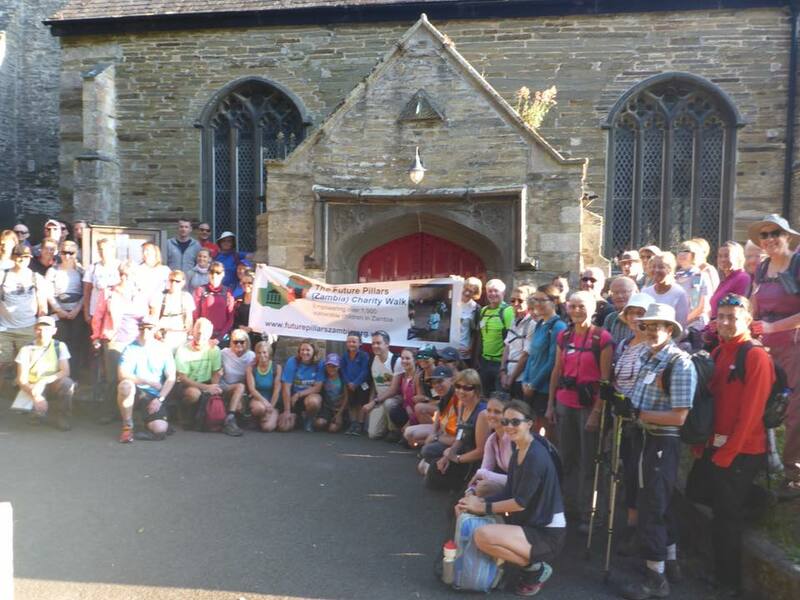 The walk ended at the Parish Church in Fowey , where we enjoyed tasty pasties, made by Fiona McAughey. 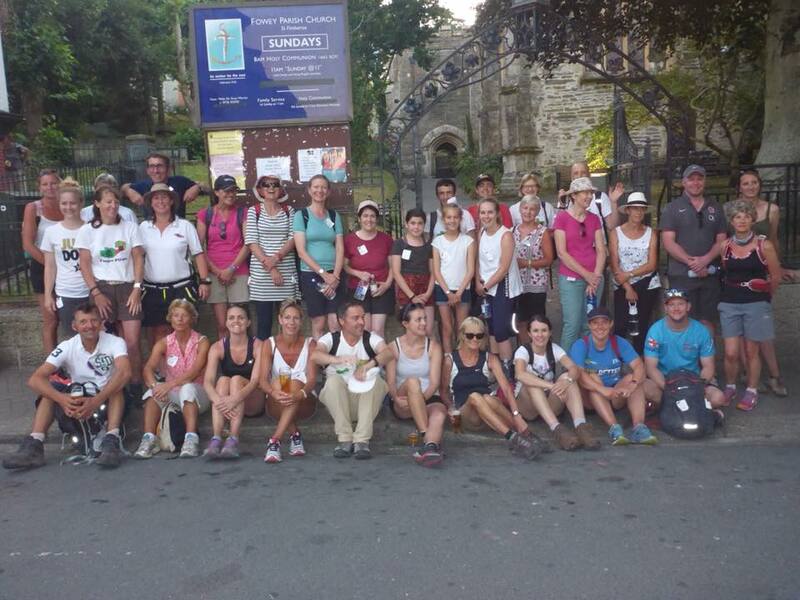 It was 9pm by the time the last walkers arrived…but there was still enough energy for a survivors’ photo! By the end of the day we could see that the £10,000 target would be passed; we were tracking donations on BTmydonate and could see the total rising as we walked. We thought we might reach £15,000…. but were overwhelmed to achieve a final total of just over £22,000! Some of this has already been put to good use paying for the completion of a new two classroom block in Kabwe. What a fantastic result! Thank you to all who took part, all who helped organise and cater, and to all who sponsored us. 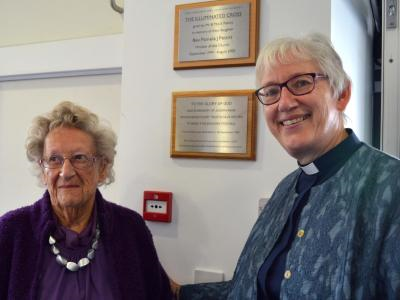 Wimborne Methodist Church celebrated its 50th anniversary with a concert and open day in September 2017. Funds were donated to FPZ and we are very grateful indeed for the amount raised which exceeded £3,700. The wonderful Dorset based Bourne2Sing performed in Verwood in September 2017. 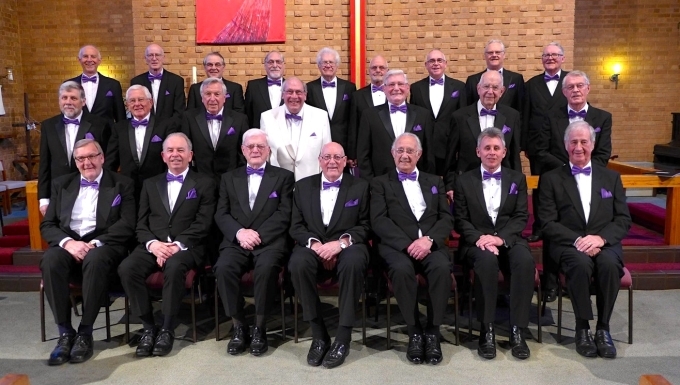 They are an exceptional male voice choir and they regularly play concerts to raise money for good causes. It was FPZ’s time in September and we raised over £1,500, a wonderful sum of money for the children of Kabwe.